Sponsor prayers with over 15,000 light offerings to the mandala of Palden Padma Samye Ling on behalf of your loved ones. 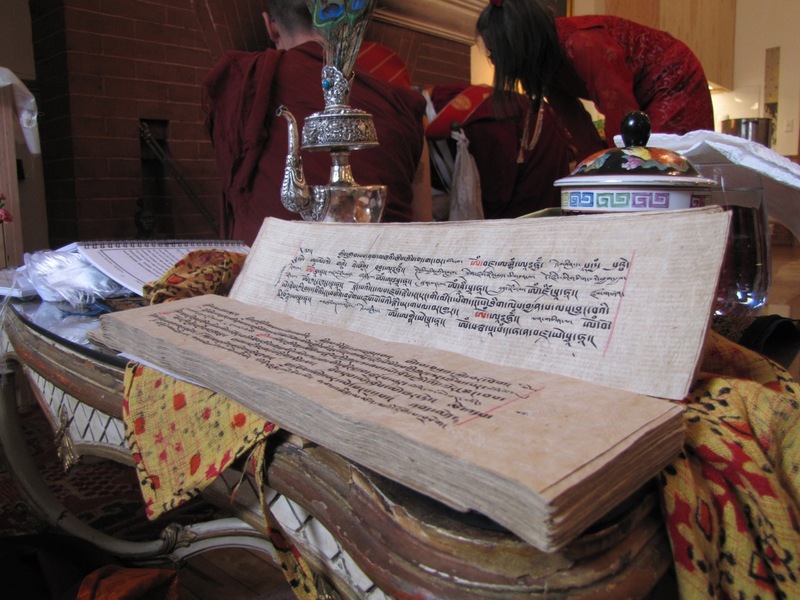 Prayers include mantra recitations of Amitabha, Chenrezig, Guru Padmasambhava, Green Tara, Medicine Buddha, Amitayus, and Guru Rinpoche’s Six-Line Prayer to Remove All Obstacles. 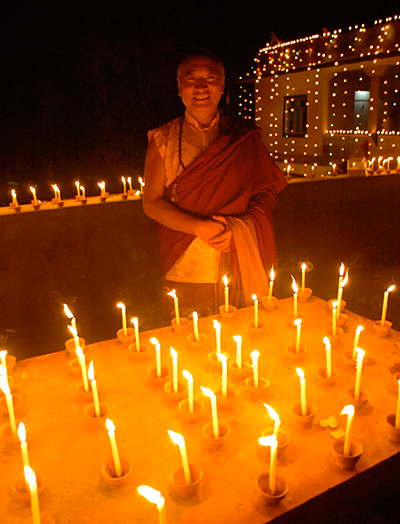 Light offerings will be mainly offered at Padma Samye Chokhor Ling Monastery as well as prayers and mantras of Amitabha, Chenrezig, the Peaceful and Wrathful Deities and others. Incense will be offered at all three of the Rinpoches’ monastic institutions. 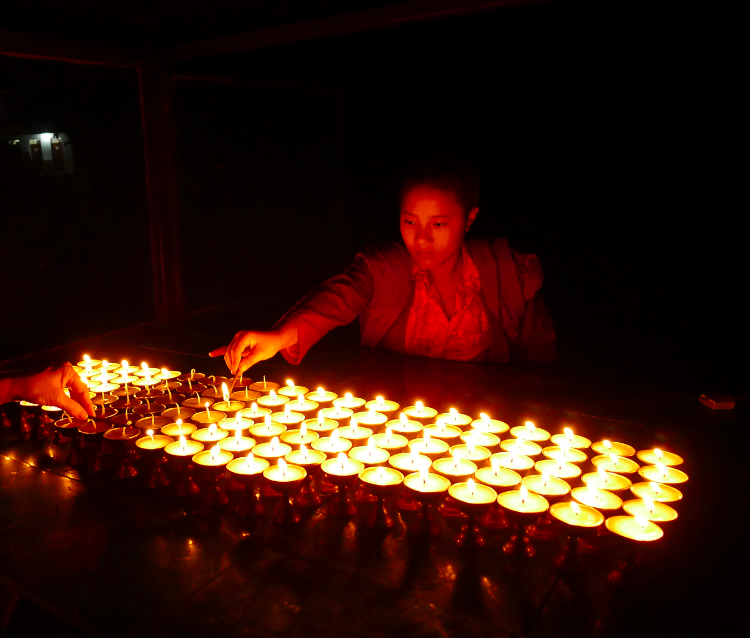 Light offerings will be mainly offered at Padma Samye Chokhor Ling Monastery as well as prayers and mantras of Guru Rinpoche, Green Tara, Vajrakilaya and others. Incense will be offered at all three of the Rinpoches’ monastic institutions. Compassion is the foundation of all schools of Buddhism. It includes taking the suffering of others upon oneself, and giving them one’s own happiness in return. Compassion is highly praised throughout the Sutras and Tantras, and is greatly honored by all Indian and Tibetan siddhas and panditas alike. 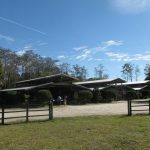 With your help, Padmasambhava Buddhist Center is performing animal releases on a regular basis. On every full moon day we sponsor the ransoming of sea animals and birds that are destined to be killed. The fish, birds, and other animals to be released are native to the surrounding areas so the delicate balance between species and environment will not be disturbed. fish into the Ganges river. Note: Your donation includes the release of the fish as well as liberation puja and prayers. Prayers will also be said and dedicated for the donor or on behalf of whom the donation is made. You may specify for whom the dedication is made at time of checkout. In the Theravadin system, we are particularly encouraged to avoid harming ourselves and others in any way. In addition to this, Sutra Mahayana practitioners actively try to help everyone as much as they can. In the Tantra Mahayana, not only do we avoid harming others and actively try to help them, but we learn to train our minds so that we directly connect with the goodness in ourselves and others. This allows us to respond to negative emotions and actions in a much more balanced way. By taking the suffering of others upon ourselves, giving our happiness to others, and disciplining our minds in order to recognize the valuable aspects of all beings and all situations, we can perfectly unite the three vehicles of Buddhism*. This is one of the special characteristics of the Vajrayana path. There is no greater harmful act than taking the life of another being. Killing a sentient being completely prevents the possibility of doing good things that help us connect with the beautiful nature of mind and all phenomena. Without this opportunity to sow good causes, experiencing good results becomes impossible: happiness becomes a dream that cannot be actualized. For this reason, the best thing we can do for others is to protect and save their lives. There are three divisions of the paramita of generosity (Skt. dana): the generosity of wealth, knowledge, and protection. The generosity of wealth is developed when we give material aid to others in need, offering assistance without hesitation or regret and with the pure intention that they be happy. Giving knowledge involves teaching the Dharma, which will immediately and ultimately lead them out of suffering. 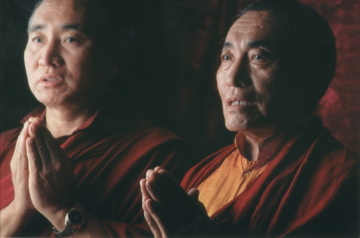 The Venerable Khenpo Rinpoches explain that the generosity of protection “applies to situations such as knowing that someone is going to be killed or executed and helping him or her escape, compassionately offering ransom, or, in less extreme cases, doing whatever you can do to protect the lives of others. This applies to all sentient beings: it is not limited to certain groups, but extends to any sentient being you see who is going to die or be killed. Offering this kind of protection is very, very special. It is a great gift, because life is precious to everyone. By generating and cultivating compassion for all beings without exception, eventually we are able to completely abandon any and all attachment to ourselves. When we no longer hold on to the belief that there is substantial reality to the giver, the recipient of a gift, and the act of giving itself, our generosity completely transcends dualistic thinking. Such kindness is a direct expression of the natural balance of our mind before it narrows into a conceptual framework due to grasping on to self, other, and the interaction between the two, which misperceives both subject and object as being truly existent. Generosity becomes a paramita when it transcends all grasping, thus transforming ordinary generosity into wisdom and compassion that actively serves as a cause for the enlightenment of all beings. However, just by being alive, we inevitably take the lives of others. Whenever we eat, walk, and breathe, we inadvertently harm beings. Although we cannot completely prevent killing others, we can cultivate mindfulness and try to reduce taking life as much as we can. 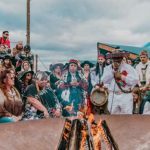 In addition to this, we can promote the health, safety, and well-being of others through the practice of “life release.” Life release or “ransoming” (Tib. tse tar) is a Buddhist tradition of saving the lives of animals that are destined to be killed. In the same way we don’t like to suffer, other beings don’t like to suffer, either; everyone tries to find enjoyment and avoid discomfort. Although animals cannot talk like humans, we can easily observe that they are afraid of being hurt and are affectionate toward those who care for them. Similarly, all sentient beings share the same essential nature of mind. Humans, animals, and all other beings all have the same buddha-nature, although this nature can be expressed in many healthy and unhealthy ways. Due to the dullness of their minds, animals are constantly tormented by fear, and always run the risk of being eaten, enslaved, or exploited. These troubles are the defining characteristics of the animal realm; as animals, there are not many ways to avoid these difficulties. On the other hand, we humans can actively aspire to help reduce the suffering that animals experience. We can also take actual steps to provide them with safer, healthier lives, and inspire others to do the same. By saving the lives of animals destined to be killed, we immediately benefit their health and longevity. Reducing one’s consumption of meat and animal products can also alleviate some of the negative circumstances that animals face. In the Parinirvana Sutra, the Lankavatara Sutra, and elsewhere, Buddha Shakyamuni taught that eating meat is the same as taking life, which is discouraged in the Mahayana and Hinayana vehicles. Bodhisattvas, in particular, are not permitted to take life. Even so, the aim is not to repress one’s desire for meat and animal products through force of will or grasping on to principles: instead, by recognizing that animals don’t want to suffer, that they share the same essential nature as humans, and that in the past they have helped each of us in a variety of ways, we naturally develop heartfelt compassion and sensitivity for beings who have been reborn as animals. As Khunu Lama Rinpoche wrote, “A person who meditates on the thought ‘wandering living beings equal to space are my mother,’ looks to be on the very verge of having Mahayana bodhichitta arise.” Such compassion automatically dissolves one’s desire for personal satisfaction at the expense of others’ suffering. We cannot experience heartfelt compassion one hundred percent of the time without training to be more compassionate. Our present habits tend to be more self-centered than other-oriented, simply because this is what we have practiced for a long time. By sympathizing with the suffering of others and performing actions that reduce their suffering, we gradually become more reliably and consistently compassionate and loving. This is the practice of aspiring and actualized bodhichitta. The practice of life release immediately reduces the suffering of animals, thereby giving them more opportunity to die naturally in a peaceful setting, which supports a smoother transition into their next lives. By reciting auspicious prayers and mantras for their present and future lives, we also increase the likelihood they will experience a higher rebirth, where it will be easier to attain enlightenment by studying, reflecting and meditating on the Dharma. Anyone can perform the practice of life release, regardless of his or her particular lifestyle or religious beliefs, since all religions believe in the path of nonviolence. The beneficial results of saving and protecting others’ lives are strengthened if one concludes with the sincere aspiration that all beings enjoy happiness and freedom from all difficulties and hardships. By combining good actions with powerful aspirations that include all sentient beings, we gradually expand our ability to help one another in more inclusive and effective ways. 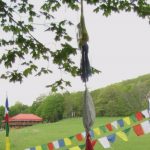 Some of the prayers recited during these life release practices include those of Amitaba, Chenrezig, Vajrasattva, Akshobya, Guru Padmasambhava and Tara. 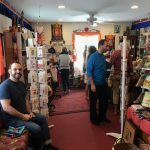 We recite Amitayus mantras to prolong the lives of the animals, and we chant additional prayers of Medicine Buddha to cure sickness and disease. On each full moon day, we encourage everyone to recite these prayers either in a group at your local PBC center, or individually at home. Please contact your local PBC center for more information. The benefits of saving the lives of other beings while praying for their happiness is beyond imagination: This practice is said to be the best way to prolong one’s own life, and is the most helpful act for living and deceased beings. The great master Atisha said that offering care to those in danger results in merit equal to meditating on emptiness endowed with compassion — the union of relative and absolute bodhichitta. Wherever ransoming the lives of others is performed, sickness among people and animals lessens, harvests are more abundant, and lives are longer; the moment of death leads more easily to higher rebirth for both the animal and the person who engages in ransoming, and this practice will eventually lead to supreme enlightenment. Be freed of all that endangers their life and be relieved of their fears. And may every form of goodness and happiness be ours!